One often does not think of a building as awe-inspiring; however, the Cologne Cathedral can change that in a second. 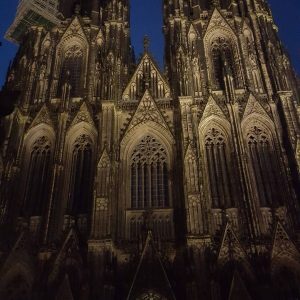 I had seen pictures of the Cologne Cathedral and knew of its sheer size and beauty, but as I came out of the train station and looked upon the church’s spires hundreds of feet in the air, I couldn’t help but have my jaw drop. When I learned about the Holocaust in history classes throughout middle and high school, I learned vague details that made it seem as if the Holocaust was just one simple point in history. It was certainly enlightening to be able to visit both the holocaust museum and the Sachsenhausen Concentration Camp. These cites serve an important purpose, to honor the fallen and to warn us of past mistakes so that we might make better choices in the future. Walking through Berlin today, you would never have guessed at the horrors that happened here. 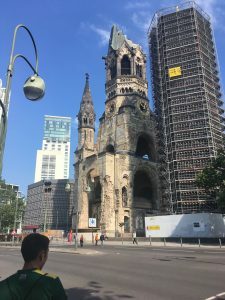 The city has moved on, there are no signs pointing out famous WWII battle grounds or plaques commemorating events- just silent monuments and somber memorials. Author WillsonPosted on July 27, 2017 Tags blogQ3Leave a comment on Arbeit macht frei?